Since Dec. 2013, the bloody conflict between the Iraqi Security Forces and ISIS has forced many people to flee the region of Mosul, Iraq, to escape violent attacks. Now that the situation is more stable, hundreds of people are on their way back to their homes, but there are still many families who cannot do the same. Some are being moved to camps that will remain open longer, such as the Hassan Sham U2, where ADRA in Iraq/Kurdistan—the Adventist humanitarian arm in the region—and the organization Adventist Help coordinated an Emergency Medical Center. According to the International Organization for Migration (IOM), in April 2017, more than 3 million Iraqis were displaced by violence. With the situation under the control of the Iraqi government, ways to return to the Mosul region began to be opened again, and many families decided to return to their homes. ReliefWeb, the main source of humanitarian information, points out that more than 25,000 people (4,200 families) have returned to 25 villages. Although increasing numbers of people are traveling back to their homes, still many other families do not have this possibility. These are the most vulnerable people because their homes have either been destroyed or they do not feel safe to return. “Many internally displaced Iraqi people (IDPs) fear the retreat of militia groups if they return to their villages and therefore prefer to stay in camps despite exposure to lack of basic services,” according to the Rudaw newspaper. The hospital offers emerging and non-emergent services, dental, x-ray, laboratory, psychosocial support, screening and health promotion training workshops. From infants to the elderly, every patient who arrives at the hospital is treated with professionalism and courtesy by staff and volunteers. The importance of the hospital is also recognized for displaced families in the camp, such as Yassin Mare, who had to flee Mosul with his wife and nine children, arriving at the camp in August 2017. “If it were not for the hospital, we would die here for no help! [sic],” he said. 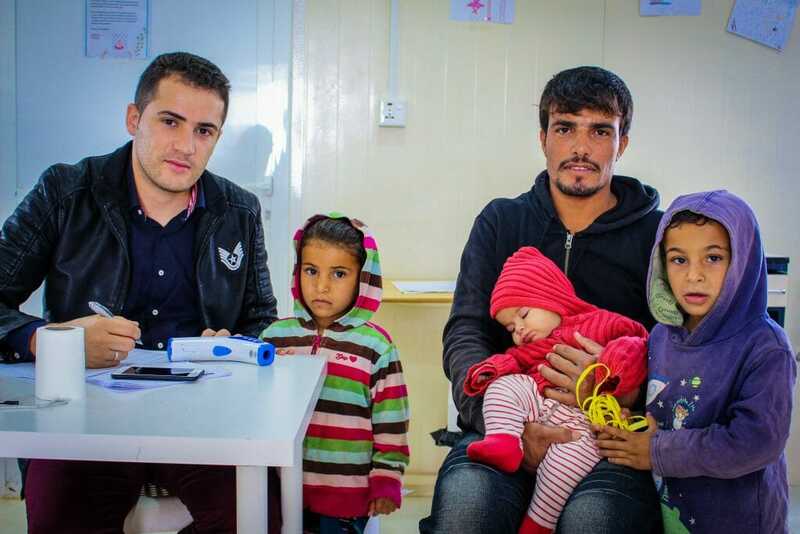 For Farhan Mohammad, a father who with his four children were forced to leave everything behind when the conflict between the Iraqi Forces and the ISIS arrived at his family village, the hospital is a “blessing of Allah.” “It’s God’s gift to have this team here to help us,” he said. Hassan Sham U2 at one point had about 9,000 residents; with the new pattern of people coming and going, the camp will accommodate about 6,000 people in the coming months. Although the total number of individuals in the field has decreased, the volume of work in the hospital is expected to increase. “With these new families coming to our camp, the number of people in need of medical care is likely to increase as they come from places without medical care,” said Hilde Camacho, Adventist Help operations manager. With information from http://iomiraq.net, https://reliefweb.int, and http://www.rudaw.net, as well as from the Official UNHCR Erbil Report.